you didn’t know what you had to do to store it in the fridge? Find yourself a jug, large glass or a vase. 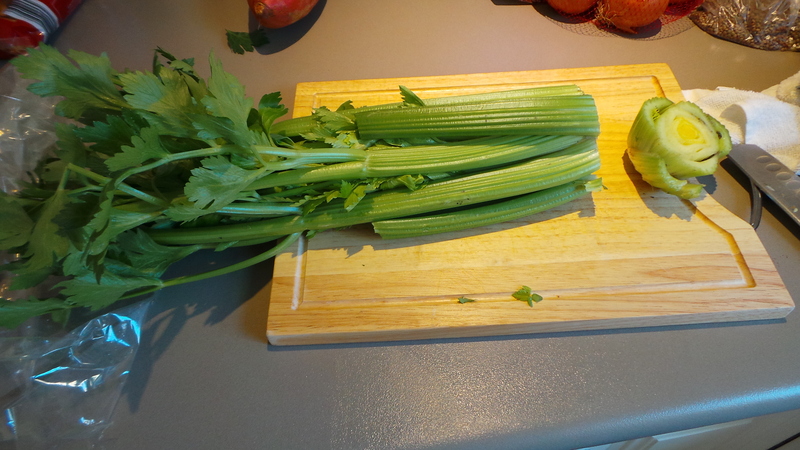 Cut off the base of the celery. Place it in the vase/receptacle. Pay particular attention to that last one. If you ever forget this (or go away for a few days unexpectedly…) and end up with a smelly, cloudy mess in your jug, fill it with a good dose of plain old white household vinegar and top up with boiling water. Leave it to sit for an hour or so, empty and wash normally. This also works for rhubarb. P.S. for an added bonus. plant the bit you cut off and you’ll get a celery plant!